The man was found unconscious at around 5.40am yesterday morning. GARDAÍ HAVE IDENTIFIED the seriously injured man found on a footpath in Dublin yesterday. 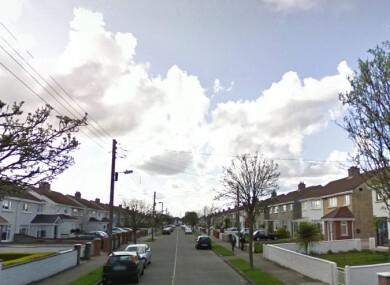 They confirmed this morning that the man, who was discovered at 5.40am yesterday on a footpath at Lorcan Avenue in Santry, has been named. The Irish Sun reports that the man is a local who was found yards from his home. It says he was beaten and set on fire during an attack. Gardaí continue to investigate the incident. They are appealing for anyone who may seen the man on the street, or anyone who may have been in the Lorcan Ave area between 5am and 5.40am yesterday morning, to contact them on 01 6664000, the Garda Confidential Line on 1800 666 111 or any garda station. Email “Gardaí identify unconscious man found seriously injured on footpath”. Feedback on “Gardaí identify unconscious man found seriously injured on footpath”.